The events begin at noon on Dec. 31. From 6 p.m. to 12:30 a.m., First Night Boston will be broadcast live on necn. It will be broadcast live on NBC10 Boston from 6 to 8 p.m. and again from 11 p.m. to 12:30 a.m. Telemundo Boston will broadcast First Night Boston live from 11 p.m. to 12:30 a.m.
First Night Boston will also be live on NBC10Boston.com and necn.com and in the free NBC10 Boston and necn apps from 6 p.m. to 12:30 a.m. and on TelemundoNuevaInglaterra.com and the free Telemundo Nueva Inglaterra app from 11 p.m. to 12:30 a.m.
First Night First Day 2019 is free and open to all. 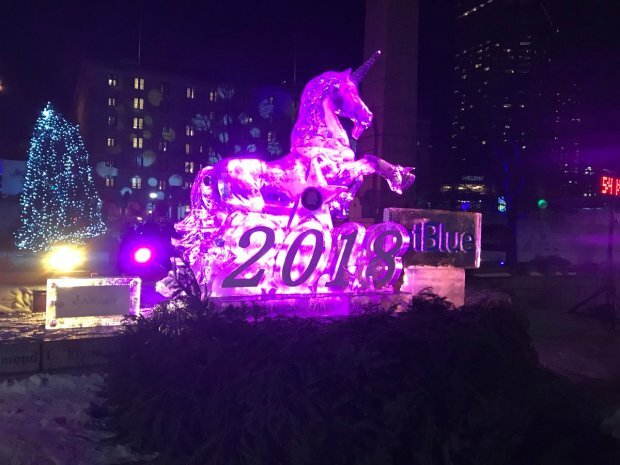 Entertainment and special attractions will be focused in Copley Square, with local artists and musical performances spanning different cultures and fantastic ice sculptures. The full events schedule is available here, including performances by American Idol contestant Sonika Vaid, Sweet Harmony and headline act Chadwick Stokes. There will also be comedy from Lamont Price and Emily Ruskowski, and a dance performance by Chu Ling Dance Academy. The Skating Club of Boston will put on a Skating Spectacular at the Boston Common Frog Pond from 6 to 7 p.m., featuring Olympian Ashley Wagner and several other skaters with local ties. The People's Procession will be held at 6 p.m. from Copley Square to Boston Common, followed by a Family Fireworks display at 7. Before midnight, there will be a "Copley Countdown" with live music followed by a pyrotechnics show to ring in the New Year. 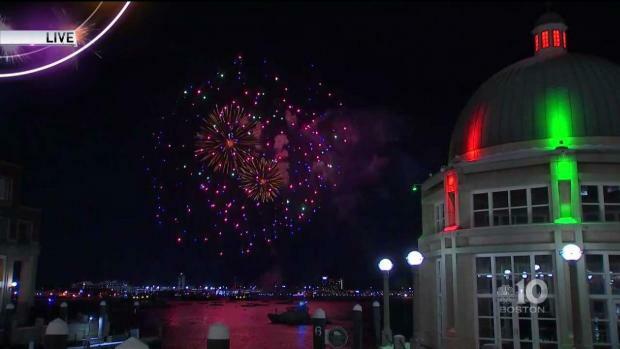 There will also be midnight fireworks over Boston Harbor. Road closures: Dartmouth Street will be closed from St. James to Boylston from Dec. 31 through Jan. 1. Trinity Place and Blagden Street will be closed on the 31st and 1st. Boylston Street will be closed from 5:30 to 7 p.m. on the 31st along the parade route from Dartmouth Street to the Boston Common. First Night Boston 2019 is a few weeks away and NBC10 Boston, Telemundo Boston and necn will be recognizing three non-profit organizations, Project Hope, Center for Women & Enterprise and #HereForTheMusic, all dedicated to improving our community by empowering young girls and women. Throughout First Night Boston, spectators and viewers are encouraged to donate to their purpose.